In our modern world, unmarried couples who live together are commonplace. Similar to the importance of a prenuptial agreement for married couples, unmarried couples should consider entering into cohabitation agreements to protect their property interests if the relationship breaks down and they separate. Although still on the books, this antiquated 1931 statute is almost never enforced, largely due to its vague and unclear language. Moreover, the law contravenes a current reality: an increasing number of millennials are cohabitating before getting married. There have been several unsuccessful attempts to repeal it over the years, including two pending legislative proposals to amend what has been called “the silliest law” in Michigan. Unsurprisingly, the law does little to protect the interests of cohabitating individuals who decide against marriage. However, Michigan does recognize certain contractual agreements arising out of cohabitation. When an unmarried couple chooses to live together, not only does each person bring his or her property into the household, but they also accumulate property together. These individually- and jointly-owned assets can run the gamut, from smaller items such as household furnishings, books, and artwork, to real estate, automobiles, and investments. Management of bank accounts, investment brokerage accounts, credit cards, loans, insurance policies, etc. While there may be blank forms and templates available across the internet, couples are best advised to consult an attorney to discuss and prepare a cohabitation agreement, and it is highly recommended that each party consult his or her own attorney. This also provides you an opportunity to discuss and understand the status of certain property ownership, like real estate, to ensure infallibility. Despite the existence of Michigan’s arcane and outdated statue, state courts do recognize the validity of cohabitation agreements. 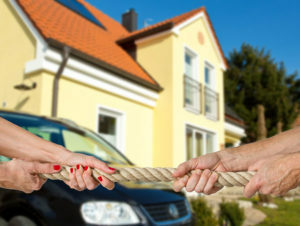 In many situations, a cohabitation agreement might be part of a larger estate plan. In other cases, the agreement might provide for support payments to ex-partners or the rights of the surviving partner after the death of his or her partner. A cohabitation agreement should not, however, include provisions for custody, support, or visitation of the couple’s children – those considerations should be addressed by a Michigan court and may jeopardize the validity of the agreement. If you have questions about a cohabitation agreement, living arrangement, estate planning, or family law issue, please contact us – we’ll be happy to help.